I love food but I mostly love food that isn't the healthiest. I'm a bit of a grazer but again, I don't graze on the healthy stuff! 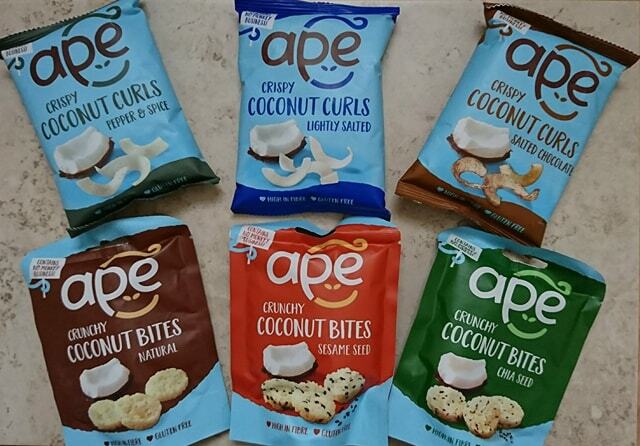 We received some Ape Snacks to try in the hope of helping us reach for something a bit better for us. 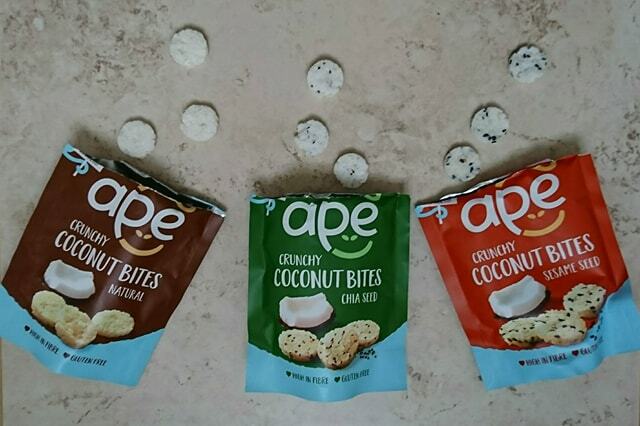 We received some of the range to try; The Crispy Coconut Curls in Pepper & Spice, Lightly Salted and Salted Chocolate and Crunchy Coconut Bites in Natural, Sesame Seed and Chia Seed. Firstly, how lovely is the packaging? I love that the Ape logo looks like a monkey - super cute! If you aren't a fan of coconut, these aren't for you. The coconutty taste is very strong in them, even though they are flavoured. Luckily, I'm the type of person who would always choose a Bounty first out of a box of Celebrations - I love coconut! The texture of both were like nothing I'd ever tried before but not in a bad way. They are quite enjoyable to eat. The Salted Chocolate curls had to be my favourite though, anything with a hint of chocolate and I am there! All snacks are gluten free, sugar free, high in fibre and have the added health benefits of coconut's anti-microbial and anti-viral properties making them the perfect guilt free snack. 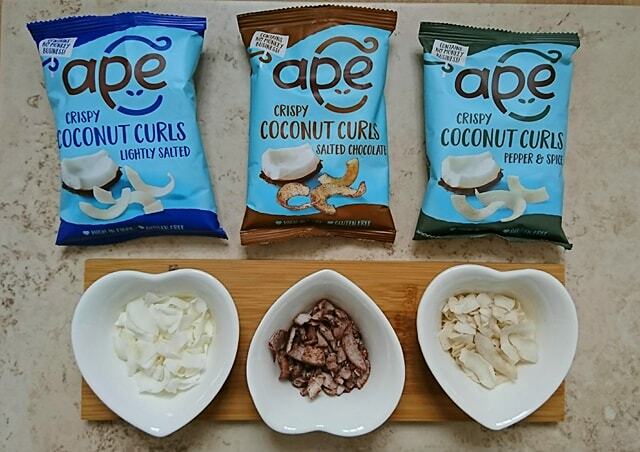 Ape Snacks are available in over 4,000 stores nationwide such as Boots, Ocado, Whole Foods, Planet Organic, Amazon and Holland & Barrett. The Crispy Curls retail around £0.89-1.19 per 20g bag and the Crunchy Bites are between £1.49-1.68 per 30g standing pouch.